August 15th is National Relaxation Day– a day to take it easy and relieve some stress, and your best furry friend can certainly help with that. Being around dogs can help reduce blood pressure, anxiety, loneliness, and plenty of other things that stress us out. Spending some time with your dog will make you feel good, and it will give you a chance to take a break from the hustle and bustle of life that may be overwhelming you. National Relaxation Day is all about remembering to stop, rest, and let things go once in a while so you can enjoy living in the moment. Here are six ways you can chill with your dog and get the most out of National Relaxation Day. Most of us have made the difficult choice to push our sleeping pups off our arms so we could go to work at some point. Today, let your pup sleep on you. Call in and take the day off. There’s nothing wrong with taking a little “me” time, especially if that me time is spent with your dog. Your pooch will certainly appreciate having you around all day, and they’ll be extra happy that they don’t have to go through the stress of watching you walk out the door without them. Have a work-free, relaxing day with your bestie. Nothing rejuvenates and relaxes quite like a spa day, and you don’t have to spend a lot of money to give your dog the pampering they deserve. Play some relaxing music, try aromatherapy, and make a nice, comfy place for your dog to lie down. 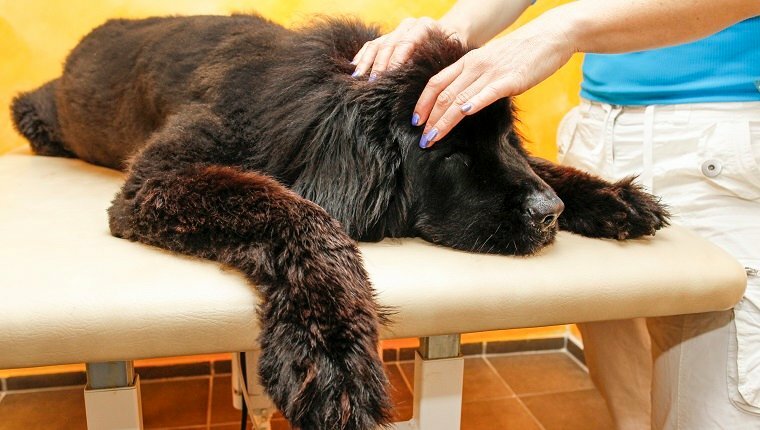 Give your pup a great doggy massage, which can be especially helpful for dogs that have arthritis. Use dog-safe essential oils that will help you and your pooch feel calm. If you’d like to know more about using essential oils with pets, click here and do your research to make sure you’re using the best, safest oils for your dog. This one is nice and simple, and anyone can do it. Just pet your dog. Studies have shown that just a few minutes of petting your pup releases a ton of feel-good hormones into your system, including serotonin, prolactin, and oxytocin. These hormones won’t just make you and your dog feel relaxed; they will actually help increase your bond and feelings of friendship. Give your pup a bit of lovin’ and you’ll both feel better. Take advantage of the great summer weather while it lasts. 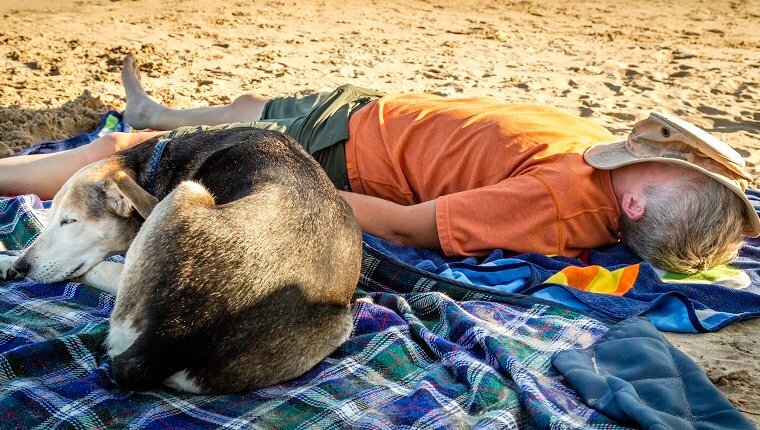 A nice, relaxing, outdoor nap will calm the nerves, and sleeping next to your dog can actually be a bonding experience that shows your trust for one another. Grab the hammock, pool chair, or blanket and find a comfy, secluded place to take a nap. You can try a local dog beach, a quiet park, or even your own backyard. Just make sure you and your pooch have sun protection so you don’t get too crispy. Getting a bit of exercise can help you and your dog burn off some excess nervous energy, and it also releases endorphins in your bodies that can reduce pain and promote feelings of euphoria. Try a nice nature walk where you can be away from the noise of crowds and cars. Take a quiet hike in an area where you haven’t been before. The extra mental stimulation will help your dog’s brain stay active and tire them out so you can both feel more relaxed. 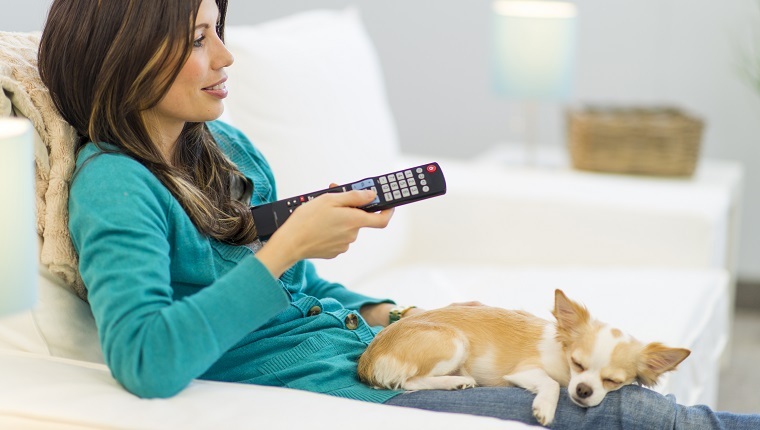 As your day of relaxation winds down, spend some time relaxing on a comfy couch with your pup. They’ll be happy to curl up with you and get some extra pets, and they might even get so relaxed that they drift off to sleep. The end of the day is a good time to start a binge watch session with your dog so you can both turn off your brains and veg out. Having a special day all to yourselves might be just what you and your dog need to recharge and feel refreshed, and relaxing on the couch together is the perfect way to close it out. Are you going to celebrate National Relaxation Day with your dog? 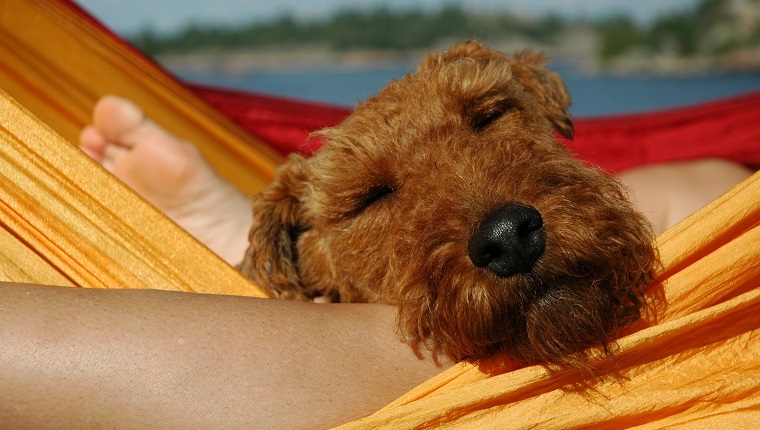 What do you like to do with your pooch to relax? Let us know in the comments below!